SIZING: Fits 1" pipe (1.31" O.D. penetration). L-series TILE base ADJUSTABLE lead pipe flashings provide a watertight seal completely protecting roof penetrations and are recommended for all types of roof pipe penetrations. 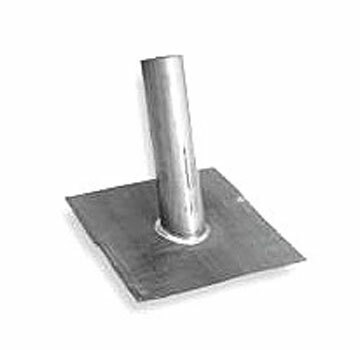 Adjustable from flat to 4/12 pitch tile roofs. The all-lead seamless riser flashing provides a watertight seal and completely protects the penetration. Lead flashings have superior characteristics such as malleability, corrosion resistance, malleability, expansion and contraction and are suitable for all climates.